Freezer Friendly Cauliflower Tater Tots Your Kids Will LOVE! Well, it’s the new year. That means that everybody has started focusing on their health. 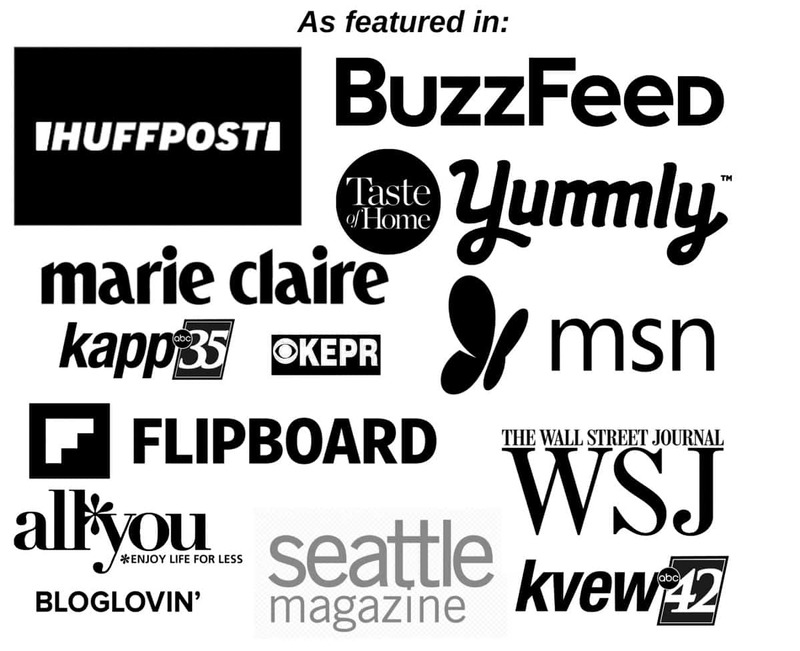 The holidays hit and all of us are caught up in a whirlwind of craziness. The new year hits and it’s like the calm after the storm. Well, I don’t know about you but I’m usually still busy just not as busy. Anyways, the kids go back to school and the new year reminds you of every goal or project you’ve ever wanted to accomplish. For many of us, getting healthy is our biggest focus. However, it can be hard to do when you’re the mom because you have to cook for everyone else. This means that diet food is not always accepted. In order to eat what you want, multiple meals have to be made. 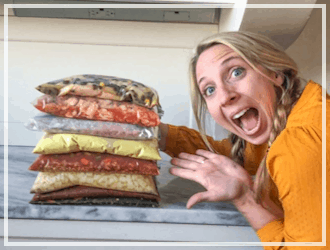 What I like to do is find ways where the whole family is taking part in staying healthy and find meals that my kids can eat without realizing they’re eating super healthy. 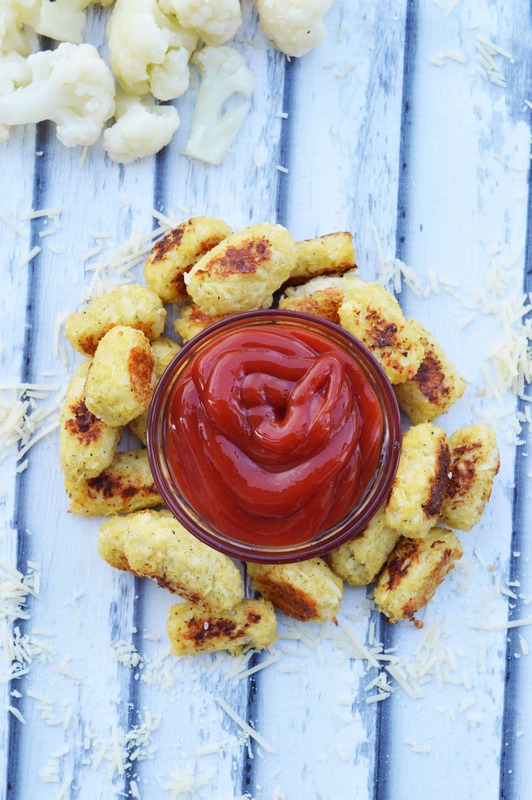 One of my favorite recipes to make are these cauliflower tater tots. 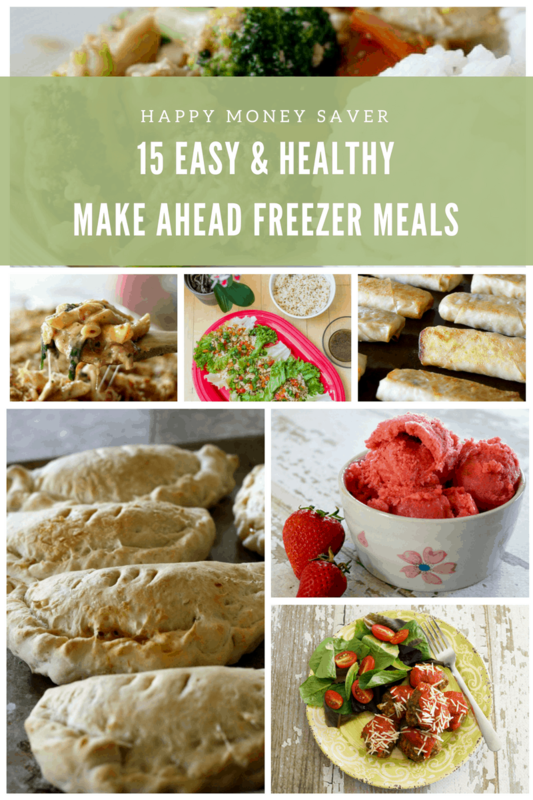 Not only do they taste great, but they can be made ahead of time and frozen for later use. 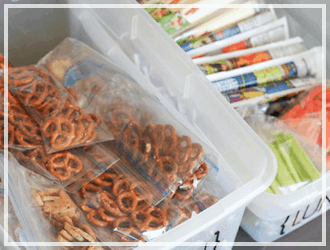 They’re super easy to make and work as a great after-school snack or even a dinner side. I’m not going to lie, I’ve even eaten them as a meal by themselves. They’re a great potato substitute and I personally think they taste better than tater tots. Not to mention, they’re much healthier for you too. They’re baked and not fried so there’s no grease to mess with. 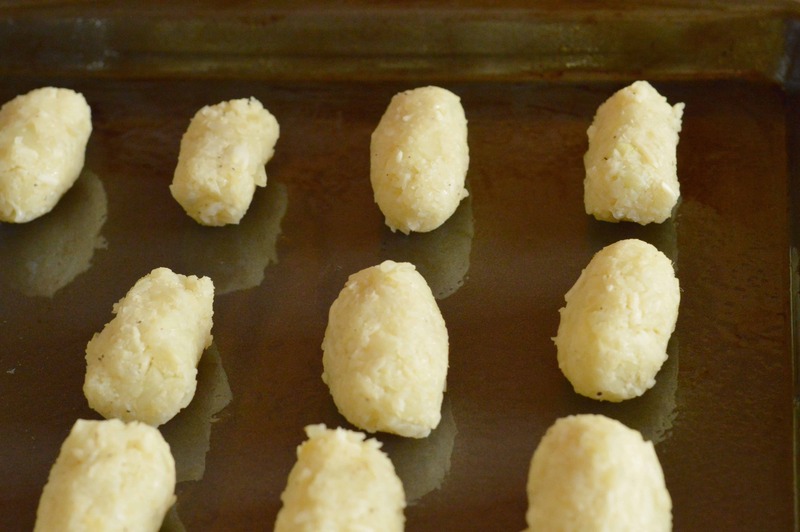 You can add your own flavors to them if you like but here’s how you make basic cauliflower tater tots. 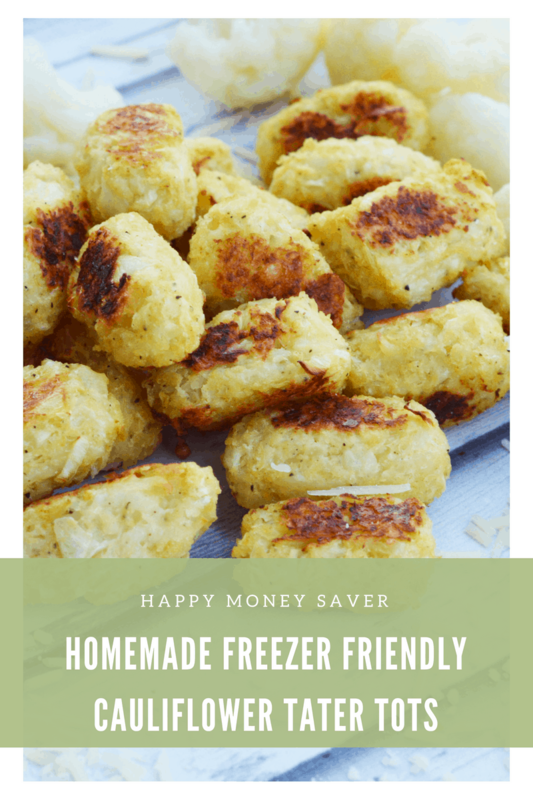 Making cauliflower tater tots is super quick and easy! Begin by boiling your cauliflower until it’s tender. Do not allow it to cook too long so that it’s overly mushy. Drain the cauliflower and pour onto a cookie sheet and pat dry with napkins.Place your cauliflower in a food processor and process until cauliflower is the consistency of mashed potato flakes. Do not process too long as you do not want your cauliflower to turn to mush. 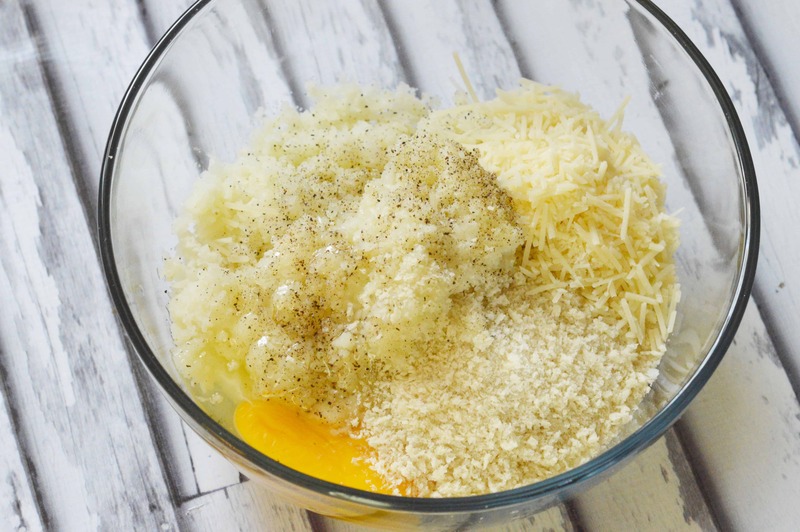 Add the rest of your ingredients into the bowl and mix together gently. Using your hands, take about 2 tablespoons worth of mixture and firmly press it into the shape of a tater tot and place it on a well-greased pan. I used non-stick spray. Place in the oven at 350 degrees for about 20 minutes. Using a spatula, flip the tots after the time is up and bake them for about another 20 minutes or until golden brown. If you want to freeze these little gems for later, before baking, place into a largeZiploc bag, squeeze out excess air, date and freeze! 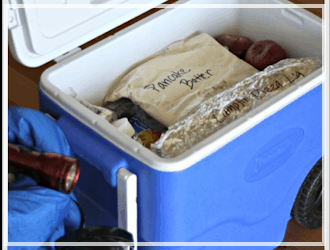 To cook from frozen: Bake at 350 for 20 minutes, remove from oven and turn over, bake an additional 20 minutes until browned and warmed through. 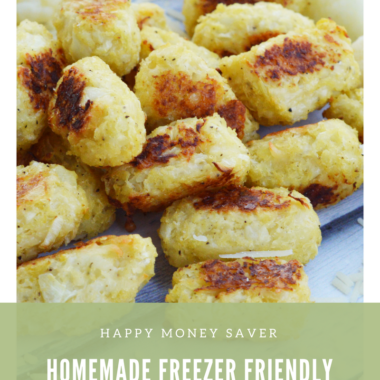 Make ahead healthy cauliflower tater tots are easy to freeze and taste great! Drain the cauliflower and pour onto a cookie sheet and pat dry with napkins. 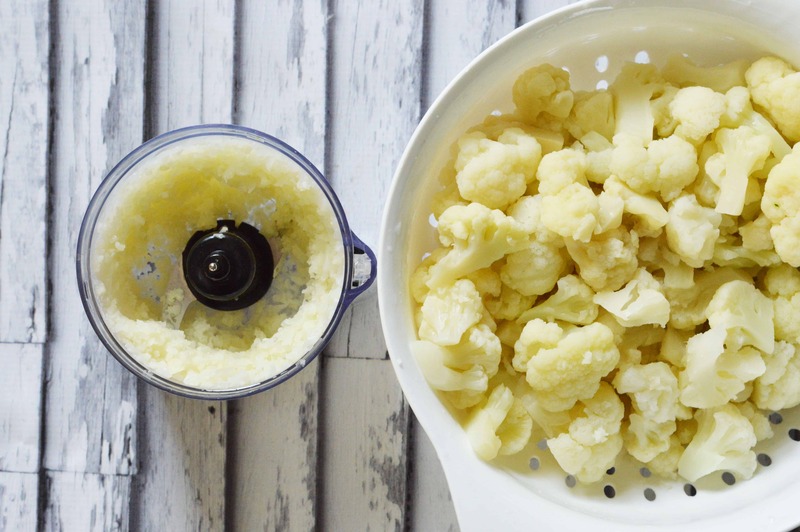 Place your cauliflower in a food processor and process until cauliflower is the consistency of mashed potato flakes. Do not process too long as you do not want your cauliflower to turn to mush. 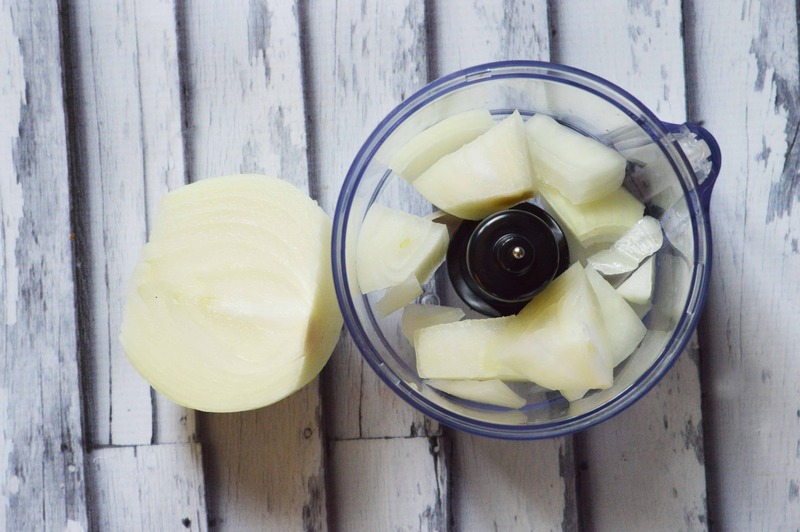 Place onion in a food processor and puree to fine consistency. Place all of your ingredients including the chopped cauliflower and onion in a large bowl and mix well. Enjoy your veggies and healthy eating! 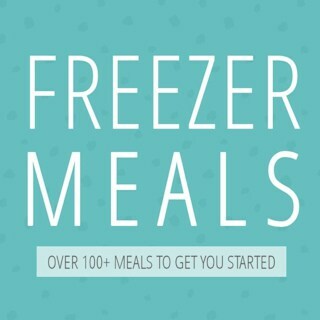 Check out these great healthy freezer meals too. Should these be frozen before baking, to bake later, or after baking, to reheat later. Or – does it matter? Thanks. Can’t rate because haven’t made yet, but will. Hi, frozen before baking! Then bake from frozen later. So good!! Do you think I could cook them in my air fryer for extra crispiness? Hmmm…. maybe? I’ve not used an air fryer as of yet! These look so yummy! 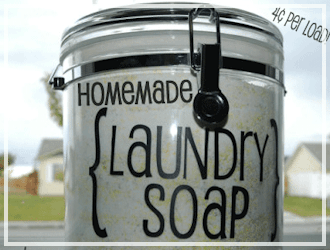 I am so making these for the kiddies! Cauliflower is becoming really popular as a replacement for potatoes, as in this recipe. I haven’t had the opportunity to try any recipes like this, but I must say that I am intrigued and I do want to try one. I might try this one. 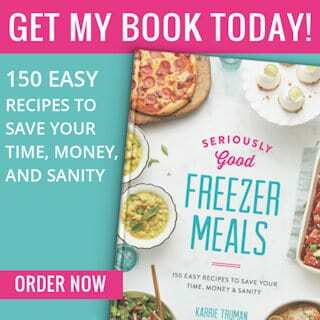 I am bookmarking the recipe round ups for freezer meals. That would be so convenient for busy moms like you and me. I also like the idea of the cauliflower tater tots. Something new I can make for my granddaughter. 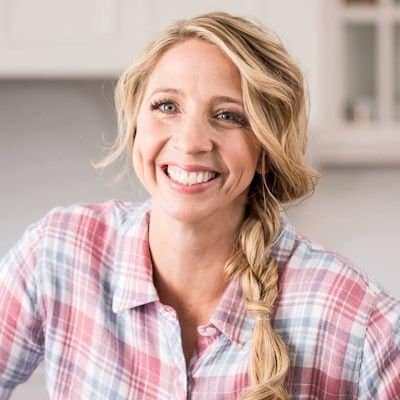 I tried this recipe the other day and was blown away. In fact, my husband now prefers these over the store bought ones! Oh my goodness! This looks so good, my kids would really go nuts for these. We love cauliflower! This looks SO good! 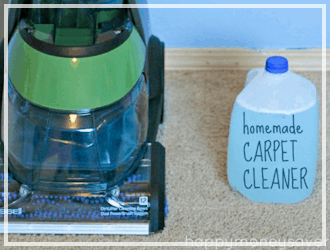 My husband will surely love this! Yum! Those do look very good! And being able to freeze them is such a big plus! Thanks for the recipe! Cauliflower is so popular right now! I have never had cauliflower tots before but I just tried cauliflower pizza crust and loved it. I didn’t know this could be an option. I may have to try it. These look incredible! And look like something that my picky kids would be all over. Thanks for this! Cauliflower is starting to become a substitute for a lot of things especially rice and other grains. 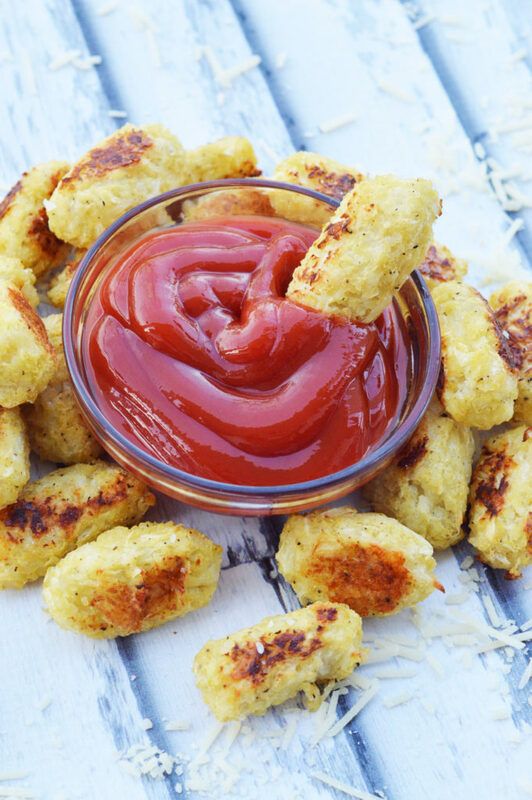 I think it’s a nice alternative for tater tots! The kids won’t even notice it when it’s cooked. 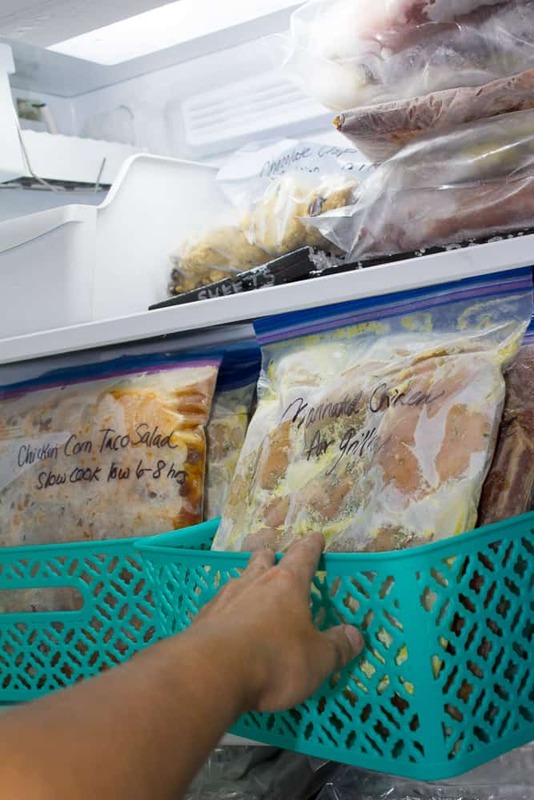 If you freeze them, is the cooking time different?